On the occasion of Netaji’s Birthday, Famous quotes by Subhas Chandra Bose. National Integration Council logo was designed by iconic designer Benoy Sarkar. An alumni of National Institute of Design (NID), Ahmedabad, Mr. Sarkar who was blessed with teachings from legendary graphic designers like Paul Rand at Yale University while doing his masters. The National Integration Council originated in a conference convened by Prime Minister Jawaharlal Nehru in 1961. The purpose was to find ways to counter problems that were dividing the country including attachment to specific communities, castes, regions and languages. Now it is a body under Ministry of Home. The first marketing initiative of its kind, Incredible India was conceptualized in 2002. The team behind the campaign was V Sunil from O&M Delhi and Amitabh Kant from Ministry of Tourism. The whole campaign was aimed at branding to create a distinctive identity for the country. The exercise resulted in the iconic Incredible India logo. The Department of Tourism team was behind the conceptualization of the logo involving V.K. Duggal, Rathi Vinay Jha and Aitabh Kant. Exclamation sign in Incredible India logo was used to great effect across all communications. The campaign successfully established India as a high-end tourist destination, generating a 16% increase in tourist traffic in the first year. (Source: incredibleindiacampaign.com). The campaign execution was mainly done in foreign markets in both print and digital media. Some of the work with creative use of Incredible Indian Logo can be viewed on their website. India has a rich tradition of festivals and for festivals, Rangoli Designs will be an integral part of celebrations. You can find many posts on Rangoli Designs on my blog like World’s Largest Rangoli. Making Rangoli Designs is a part Indian Culture and is being followed since many years. Basically Rangoli Designs are created using colours sand, flower petals, rice, flour etc. They are drawn on the floors, courtyards, grounds. One of the types of Rangoli is called as Sankar Bharti Rangoli. It is a the most popular in Maharashtra. On many occasions like Ganesha Festival, Diwali we create Sanskar Bharti Rangoli Designs. A very special technique is followed to draw Sanskar Bharti Rangoli Designs. It is drawn using either three or five fingers to create beautiful patterns and Curves. Sanskar Bharti Rangoli Design with five fingers is called as ‘Paach Boti’ meaning (Five Fingers).It has unique style to draw borders, circles, curves and patterns. You can search for many VDOs on Sanskar Bharti Designs for detailed procedures. It was early 70s when Viru Hiremath from Vartul Communications designed the J K Tyre Logo. The name JK is derived from the initials of Kamlapatji and his father Seth Juggilal Founders of the Organisation. J K tyre is the market leader and No. 1 Tyre brand of India. Tanishq, pioneering the concept of branded jwellery became a prominent jewellery brand of India. Head quartered in Bangalore, is a division of Titan Company Limited, promoted by TATA Group. TATAs In collaboration with Tamil Nadu Industrial Development Corporation (TIDCO), it formed Tanishq. It is combination of TATA, Tamilnadu and Nishq. Nishq is a sanskrit word and it means necklace of gold coins. Tanishq logo was designed by Michael Foley, head the Titan Design Studio at that time. He was also a student of National Institute of Design, Ahmadabad. Yet another great work by Prof. R K Joshi. He was prolific in using Calligraphy in art and design. The logo designed for the Chimanlal Paper Company who set up a special department to try and promote handmade paper since thirty years. They are producing handmade papers for more than five decades. Read more for further details about the legendary graphic designer R K Joshi at Biography and Works of Prof. R. K. Joshi . Some of his work in Indian logos can be found at Classic Logos of India. This week I got a chance of learning ‘How to Design Our Own Photo Quotes Easily’. In last few posts, I have explained briefly about the free online resource, some examples of Photo Quotes. Today I would love to add one more online tool for making photo quote. Adding some more examples this week’s Photo Challenge. Photographs are taken from my photography portfolio Photolia. The photo chosen is converted into beautiful photo quote by using Canva and Font MemeFont Meme. These both tools are free to use online. I am thankful to Sonia and Prakash Hegade for mentioning about these tools for quote design. May 5, is celebrated as World Cartoonists Day in the memory of publishing of the first ever colour cartoon, The Yellow Kid in 1895. On his 94th Birth anniversary posted about website showcasing R K Laxman’s cartoons and books. A great salute to an Indian cartoonist, Illustrator, and humorist, R K Laxman who created common man in 1951. Google had also paid tribute to R K Laxman a Google Doodle on R K Laxman. Interested can read more about the post on R K Laxman. Abstract Photography is not hard to job but getting good abstract is not an easy job! As the word abstract is, the definition of abstract photography is also not having the exact definition. But for the definition, it is a photography which does not represent the subject in a literal way. And is communicated primarily through shape, form, colour, pattern, texture and curves rather than image detail. Already defining abstract photography, now we will see some ways to get wonderful abstract photos by simple techniques. In 1994, ICICI bank set up extending its start from 1955 as an initiative of World Bank, Indian Government and Indian Industry for creating a finance institution. Sudarshan Dheer, the Grand Master of Corporate Communication in India designed the identity for ICICI Bank Bombay Branch. Many of the very well established corporates have their identity designed by Sudarshan Dheer. We always experience the perfect bonding of art and design in his logos like HPCL, Titan, ESSAR. For more details on Sudarshan Dheer you can read Series on Design Masters in India at Design in India. Already defined abstract photography in the post on Abstract- Close Up. Now we will see some ways to get abstract photos. There will be much more techniques and tricks, one can explore while playing with a camera. The magic of the 60s from Sudarshan Dheer, the Grand Master of Corporate Communication in India. Mr. Dheer at Graphic Communication Concepts designed the Essar logo for the group. For more details find Biography and work of Mr. Sudarshan Dheer. As per the design agency, the symbol was particularly designed to look good on cars, an important growth market of TATA Group. Interesting fact about the Godrej logo is its typographic logo having signature of Mr. Ardeshir Godrej, Founder of Godrej. It is one of the unique logos in the world having signature as a logo. Godrej logo is in use since decades as a signature except some colour changes. The initial logo in blue colour was unbeaten for more than 100 years. The colour was changed to red later on. Its year 2007, when Godrej appointed Inerbrand, UK based brand consultant for making this logo contemporary. In 2008, a three-colour pattern, maroon, green and blue, was used to fill the Godrej signature. This is in continuation with COEP’s World’s Largest Rangoli , I thought I should mention the efforts of other people in these attempts of making world record and spreading awareness about the social issues through art. Social Message Rangoli ‘Save the Girl Child’ along with the logo of Beti Bachao Campaiagn was on display at Singrauli. Great Efforts by the TEAM! Congratulations to the TEAM for this! Another feather in the cap of Benoy Sarkar for designing logo of Indian Airlines. National Institute of Design has contributed to many of classical logos of India.The logo was designed around 1946 and was being in use till 2000. Logo has the typographic beauty with a simple sliding crossbar of the letter ‘A’. Above the windows of aircraft, “Indian Airlines” was written in English on starboard side and in Hindi on port side. The tail was bright orange, with its logo in white. In most of the aircrafts, the logo was also painted on the engines over its bare metal colour. T20 cricket is becoming more popular day by day due to thrillers involved in the format of the game. World Cup 2016 is being hosted by India. The excitement in the tournament is increasing as semi finals will be starting on 30th March 2016. With this as opportunity, would love to post the logo designs of the event and also all the former versions till 2007. Two of the versions, 2014 and 2012 were designed by Australian company WiteKite. They have specialty for designing event and sports worldwide. Every logo is having standard format of presentation. Tournament name, Hosting country and Year is put at the bottom of the logo. Every logo has ball depicted from the number “0”. One more examples of classical logos of India is Indian Post Logo. Indian Post is the largest postal network of the World. It was year 1993 when legendary designer R.K. Joshi was at teaching at IDC, IIT Bombay, he designed the logo of Indian Post. The logo was launched on India Post Day, October 9 that year. The philosophy behind the logo is explained here. Later in year 2008, Ministry of Communications and IT, launched a new corporate identity of Indian Post working with a design agency, Oglivy and Mather. The new Indian Post Logo is inspired by the fact that Indian Post carries emotion across physical distance. At first glance, it is an envelope and at the next glance, it is a bird in flight, unhindered and unrestricted. The following bold strokes convey free flight. The new logo kept the red colour because of its longer association with Indian post. Press Information Bureau website has elaborated explanation about the design philosophy behind the new logo design. d posted earlier on Mastheads of leading Indian Newspapers, Australian Newspapers. For my network of lovely people from UK, for the visual treat, adding mastheads of top ranked newspapers in United Kingdom. A nameplate of publication is a designed title as it appears on the front page or cover. The term name plate is mainly used in America. It is also called as Masthead in the United Kingdom and many other Commonwealth Nations. In lay man’s terms it is also called as logos of newspapers. National Institute of Design, Ahmedabad, has given many classic logos to the Nation. One of the designers from NID, S.M. Shah designed the logo of FTII. Mr. Shah is from the third batch of Communication Design, 1967. It is the premier institute of film and television institute bringing together the training in film and television. FTII located in Pune, is serving as a center of excellence across the world. The logo is being used for more than 4 decades. 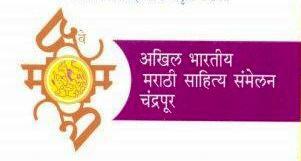 I love this type of logos due to elegance of strokes of Devnagari Calligraphy and bonding of Art and Design. For more details on Mr. S. M . Shah. 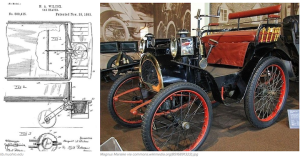 We all owe our thanks to Margaret A Wilcox who invented the car heater in 1893! You may be curious about who designed Aadhar Logo, the answer is here. 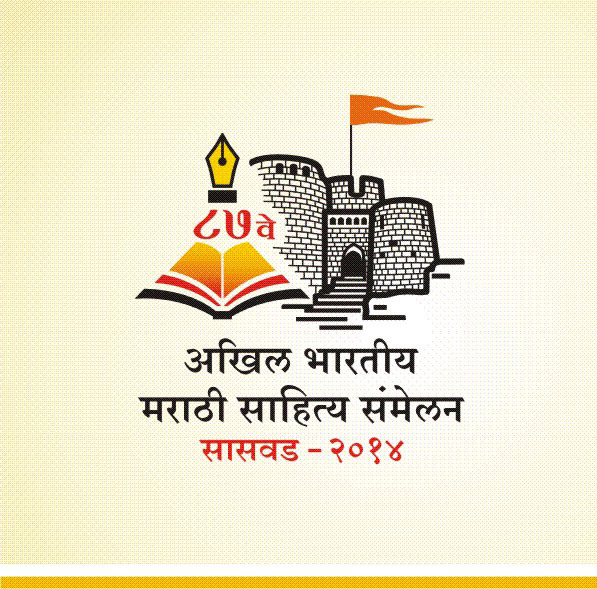 Graduate of Applied Art faculty from Nagpur University Mr. Atul S Pande won the national logo competition held by Government of India in 2010 and India got Aadhar logo. Project UIDAI initiated to issue Unique Identification Number to every Indian Resident. Logo depicts the Sun and Fingerprint. 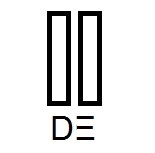 It symbolically depicts a dawn of new identity of every individual, endowed with a unique number for each individual. For more on Atul S. Pande, logo designer of Aadhar and his work in the field of Design you can visit his Behance profile. In 1974, logo of Trade Fair Authority of India then was designed by Benoy Sarkar, alumni of National Institute of Design (NID), Ahmedabad. Trade Fair Authority of India is now named as India Trade Promotion Organisation (ITPO). Mr. Sarkar was blessed with teachings from legendary graphic designers like Paul Rand at Yale University while doing his masters. In 1987, Titan logo was designed by Sudarshan Dheer, the Grand Master of Corporate Communication in India. Titan is a joint venture of Tata Group and Tamil Nadu Industrial Development Corporation.This logo is still “NOT OUT” for almost three decades. Mr. Dheer has contributed to the discipline of graphic design for over 50 years. Many of the very well established corporates have their identity designed by him. For more details find Biography and work of Mr. Sudarshan Dheer. Again a great impact on Indian Graphic Design by legendary designer R.K. Joshi. In 1973, while working with Ulka Advertising he designed the logo for SAIL. Steel Authority of India Limited is one of the largest state-owned steel making Indian company and one of the top steel makers in the world. The same logo is being in use for more than four decades. It was the year 1955 when SBI get established and first version of the logo came into existence. It has banyan tree in it and name written in Hindi and English with year of establishment at the bottom of the tree. Second version of SBI logo is designed by Shekhar Kamat, alumni of NID almost 45 years ago. India’s largest commercial bank and also a fortune 500 company still using the same. There are many interpretations which can be drawn but the philosophy behind the design is here. It is said that inspirations for this design came from the Kankariya Lake in Gujarat and logo too has very close resemblance with the top view of the lake as seen on google map. Fiori di Como installed in 1998 at Bellagio Resort, Las Vegas. The great art work by Dale Chihuly, an American glass sculptor. His installations and art works are created by manual blown glass. Fiori Di Como is a ceiling sculpture of 2,000 hand-blown glass blossoms by Dale Chihuly that hangs in the Resort’s lobby! It covers about 2000 square feet of ceiling. We can imagine the volume of the work and number of people involved in making such a beautiful installation. Actual installation can experienced in a VDO on Fiori di Como on You tube. Chihuly’s other artworks and installations can be found at his website and in a VDO there. We can visit the Chihuly Workshop, a place for experimentation, studio editions and publishing his artworks. Get some art and designs inspiration from Chihuly. PS: This post is inspired by the Post from my new friend on her blog Instareads. Thanks to her for introducing me such great personality! 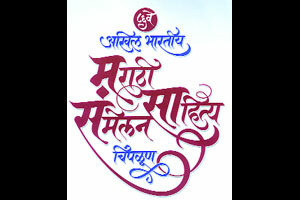 Logo is designed by legendary calligrapher and type designer R.K. Joshi. He was a student of Sir J J Institute of Applied Art, designed the core Indian fonts used in Microsoft Windows. ITC is still using the same logo. This post is written to pay tribute to Prof. R. K Joshi who left the world on 5th February 2008. PNB Logo is designed by legendary calligrapher and type designer R.K. Joshi in 1984. Yet another examples of logo designed by bonding art and design together. R. K. Joshi was a student of Sir J J Institute of Applied Art, designed the core Indian fonts used in Microsoft Windows. PNB Logo is still in use since 1984, more than three decades. Andy Murray who made history by winning Wimbledon on the 7th day of 7th month and 77 years after the last British, Fred Perry to win the trophy. These numbers and his initials constitute the logo designed by London based Aesop Agency. This identity mark used as Andy Murray logo, got mixed responses saying its resemblance to many of the existing logos. Novak Djokovic and his team, together with PRpepper web agency, released an official video celebrating new djokovic logo and explaining its meaning. This video elaborates the design process of new djokovic logo and is available on YouTube. It explains the inspiration behind the logo is the Greek alphabet, medieval Serbian lettering and birds in flight. Nadal’s Logo on his website doesn’t have his initials in it but it references his nickname ‘the raging bull’. It doesn’t have distinguished look like other logos of tennis greats. Many heads we saw on the tennis court with two lettered monogram RF. This Roger Federer Logo is inspired by the logo of RF-Cosmetics, a fragrance by his wife Mirka Vavrinec and her father, introduced in 2003. RF-Cosmetics logo was a freehand squiggle depicting letters R and F. Federer wanted that a monogram would offer a connection as direct but not as literal as a team jersey. Federer liked the approach of the logo of cosmetics and suggested that Nike come up with a strategy along the same lines. This lead to Roger Federer Logo came into existence. Source: NY Times. Need to be thought on what A BALASUBRAMANIAM has said. I strongly support the point he has made in this post! Operation Flood Symbol for National Dairy Development Board (NDDB), was designed by Vikas Satwalekar, National Institute of Design (NID) in 1970-71. The last day of this week’s challenge which gave me a wonderful opportunity to showcase some hand lettering art here. Posted few works using chalk on the wall, Rangoli Designs through out the week. The last entry for Alphabet which is the inspiring quote in Hindi Lettering. The lines say, “Work is Difficult hence worth Doing, Otherwise ordinary works are done by All”. For more projects on Hand Lettering visit the portfolio page. Also find some interesting photos in my entries to weekly photo challenges. 1974 version of the logo designed by Sudarshan Dheer, the grand master of Corporate Communication in India. This logo is still “NOT OUT” for four decade. Mr. Dheer has contributed to the discipline of graphic design for over 50 years. Many of the very well established corporates have their identity designed by him. For more details find Biography and work of Mr. Sudarshan Dheer . Basics Strokes of Devnagari Calligraphy creating beautiful patterns called CalliPatterns. All the strokes are transformed in a round shape to indicate unity. Though not tried here, some other basic shapes like rectangle, square will also create beauty. Some more transformations can be viewed at CalliPatterns. A nameplate of publication is a designed title as it appears on the front page or cover. The term nameplate is mainly used in America. It is also called as Masthead in the United Kingdom and many other Commonwealth nations. For the visual treat of the users just adding mastheads of some top ranked Australian Newspapers. 1977 version of logo, designed by Yeshwant Chaudhary, also a student of J J School of Art. The logo is in use for almost 38 years. The Current version of the logo is depicted below. Read Biography and Work of Mr. Yeshwant Chaudhary. When it comes to the power of Indian Defence and that of Indian Air Force, it is the fourth largest air force in the World. Indian Defence Education has broad base of education and training offered through its institutions. These training institutes and schools are spread all across the country. This post is to compile the logo or emblem of these defence institutes and schools. Each emblem of these institutes has its unique tagline and National Emblem of India as a main element in the design of each logo. Most of these Indian Defence logos are designed in-house by the officers of Indian Defence. All of these emblems depict some basic elements of the nature referring to the features of the particular training school or institute. It has birds, mountains as design elements in the logo. These logos have all of Five Principles of Effective Logo Design, Simple, Memorable, Timeless, Versatile and Appropriate. Typoday also called as Typography Day started as a part of the golden jubilee celebrations of the Indian Institute of Technology Bombay in 2008. First version of typoday was Jointly organised by Industrial Design Center (IDC) and India Design Association (InDeAs). Each version focuses on certain theme about typography, its users, education and applications. This is the biggest event for typography learners, professionals to get together with renowned Typographers of India and across the World. For outreach of the typography, Poster design competition, Exhibitions, Seminars, Presentations are organised by host institute. Organizers also started logo design competition in 2014. Here just compiled all the versions of typoday logos since 2008. Doordarshan Logo was designed by Mr. Devashis Bhattacharya then a student of Visual Communication, National Institute of Design (NID). Mr. Bhattacharya made Doordarshan Logo as a part of classroom exercise to create logos. On September 15, 1959, logo celebrated the first launch of programme broadcasting in India. Since then the logo is being used and is not out for more than five decades. The wall above features Doordarshan Logo. The wall has grid of tiles with symbols and logos that NID created during last few decades. It clearly depicts the work done by legendary designers of India for for many public and private organizations. And Wish you a very Happy New Year 2016! 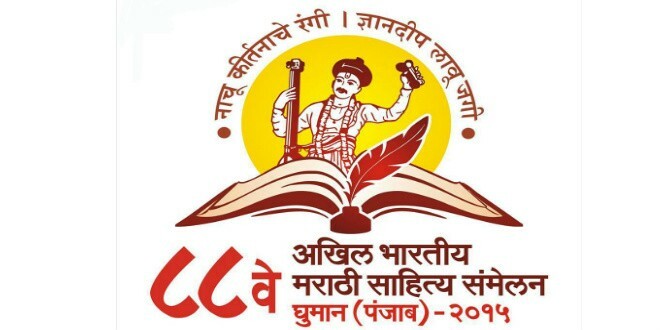 1975 version of CMC Logo was designed by Arun Kolatkar, trained as an artist from the J. J. School of Art. He was also a poet and had won many awards in literature including Sahitya Akadami award in 2005. Presently colour version of CMC Logo is in use. Your partner is the tagline added to the recent version. The results of Typoday 2016 logo design competition are announced and winning entry is from Sukanta Paul, Pearl Academy, Delhi. All other entries of runner up can be found at Typoday Website. It is the best fest for the typographers, beginners of typography and calligraphy. This year is ninth version of the event and it is being hosted by Srishti School of Art, Design and Technology, Bengaluru. You can block your dates, 25th to 27th February 2016. It is in collaboration with the Industrial Design Centre (IDC), Indian Institute of Technology Bombay (IIT Bombay) with support from India Design Association (InDeAs) and Aksharaya. You can visit the website for more information on Typoday. You can browse here for some more resources on Logo Design. More than 400 links and resources on logo design. The Logo Design Guide is organized the into chapters compiling various aspects of logo design that make good logo or else turn into bad. It also lists some of the creative techniques to follow. Lastly it focuses on technical back ground required for post processes like printing. 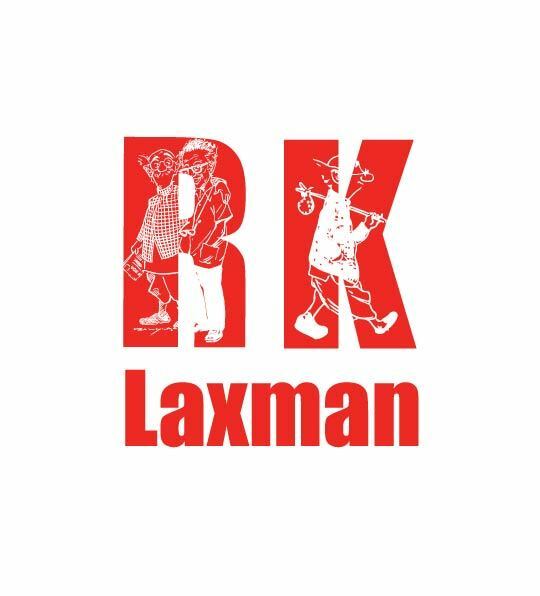 Today is 94th Birth anniversary of R K Laxman full name, Rasipuram Krishnaswami Iyer Laxman oh!! Simply R K Laxman. An Indian cartoonist, illustrator, and humorist, R K Laxman who created common man in 1951. Google pays tribute to R K Laxman by today’s Google Doodle on RK Laxman. His great work is compiled by his daughter in law Usha Laxman and granddaughter Rimanika Laxman. The website is online now, you can have a look at this online storyboard. Was just curious about how many languages are there on Indian notes. Here is some information extracted from RBI website for ten rupees note. There are fifteen Indian languages on almost all notes, excluding English and Hindi. This clearly indicates how India is rich in culture and heritage. These are only official languages but there are many more languages exist in India since last centuries. The language panel of Indian Currency also depicts the ‘Unity in Diversity’. Following table shows how a rupee is written in different languages and pronounced in Marathi. Added small drop of knowledge by sharing this information. A zine (an abbreviation of fanzine, or magazine) is the most commonly a small circulation self-published work of original or appropriated texts and images usually reproduced via photocopier. Seen some exciting zines! DIY Guides and Other Zines are available for Download. A Barnard Zine Collection compiles various genres of Zines. Last night seen the Ebru VDO on YouTube which lead to inspiration for compilation of information on different forms of Art with different combinations of colors and substrates. I know that there may be many webpages compiling the information, but I want to visit different sources of information and compile then briefly. Through this it will be comprehensive information and good collection of the different forms. This will be continuous activity to post here on different forms of ART. The readers are requested to suggest, comment and provide additional info. Will start with Ebru as it ignited the mind. Ebru also called as paper marbling. Digital Collection of Marbled Paper mainly from Europe, at University of Washington. 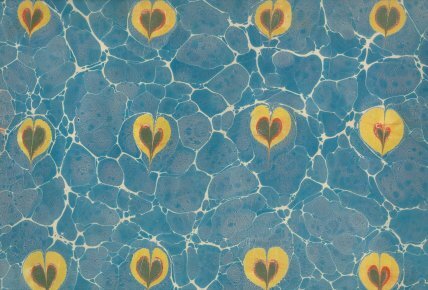 Some of the collections on fantasy marbled papers in digital collection in the library. Free book on Paper Marbling all the tips and tricks of years marbling paper, Download. Suminagashi is Japanese art making from marbled papers. You can browse some Resources and DIY online. A great resourse for the students, professionals in the area of gaphic design. Dr. Paula Dimarco has created this resource using the teaching materials, classwork, students projects and relavant links to the others work. Many pdfs, VDOs, hand on sessions answer all the queries related to the subject. 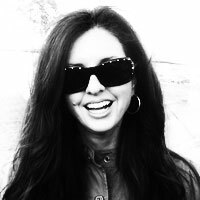 She teaches many courses at CSUN (California State University, Northridge), they are Computer Graphics, History of Graphic Arts, Production Design. The guidlines mentioned for the project work are very useful and clear the fundamentals of the design process. I really cleared my fundamental concept of LOGO Design using the resource she shared. There are tutorials, tips, practice sessions on Photoshop Illustrator also. We can take scheduled course at this webpage. Learn Poster Design, Logo Design, Branding and many things at a single point. I am sure that this is one of the best design resource for gaphic arts on internet. I would like to thank Dr. D. for inspiring me to learn and practice more deeply, understanding many aspects of Logo Design. Browsed some of the blogs which discuss the design education in detail. Prof M. P Ranjan has Design for India blog and offers many books, Papers, Interactive Media to download at this blog. Thank you Professor, for sharing such valuble information and design thinking. He also shares the information categorically on Independent academia. You can also have thoughts by different contributors mainly on Design Concepts and Concerns. It takes quality time to read these blogs and think over them and to implement in the field while actually working on Design Problems.